We made it to the Andaz from Haneda in less than thirty minutes. The cab driver spoke little English but he was able to figure out our designation from the address/screenshot on my phone. I've booked several iterations of a trip to Tokyo over the past few months. Based on changing schedules, we've had to make a few changes and now Emily is going to join me! I was waffling on where to stay given so many great options. 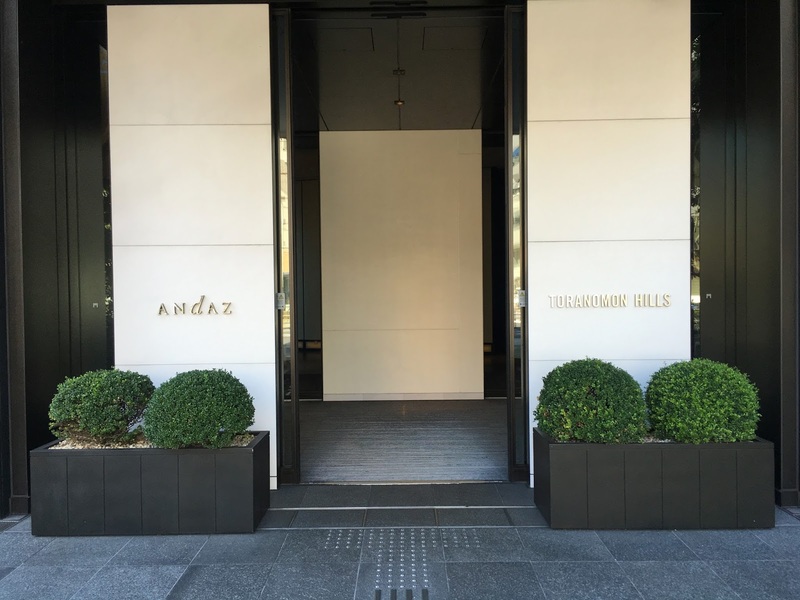 Patience won out and the Andaz opened up with Points + Cash availability a few days ago. I quickly booked the reservation and couldn't be more excited to stay in what is supposed to be the best Andaz in the world. Even though the date of the trip changed, the price remained roughly the same. The two nights will run me roughly $388 and 25,000 HGP. 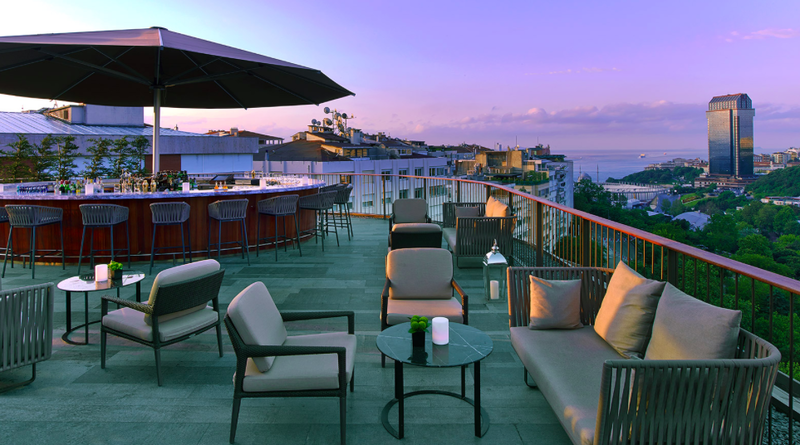 As a Platinum member paying with the Hyatt Chase card, I'll earn roughly 2,712 points which I value at around $54. That brings my total "cash outlay" down to $334. If I paid cash, the total outlay would be around $1,080 and I would earn 7,560 points valued at around $151. That brings down the total "cash outlay" to $929. So the 25,000 points are replacing $595 in cash. That's a point value of 2.38 cents. Redeeming points straight (50,000 total) and you receive a point value of 2.16 cents. Either way, it's a great redemption and above where I value HGP points. But the vast majority of the time, Points + Cash is going to result in a higher per point valuation. If you are points rich and cash poor, than the calculation may be a bit easier. But if you can afford to pay $155/night ++ than it's worth taking a look at the C+P valuation to see if you come out ahead. I'm headed to Tokyo later this year for a couple of nights. I've been looking forward to visiting the city for a long time and certainly want to get the most out of the trip especially considering it's only two nights. The trouble is, there are too many good hotel options! I've essentially narrowed down my search to four properties. The trouble is, putting the points puzzle together has been a bit of a challenge. So I'd love to stay at the Andaz Tokyo. Prepaid cash rates are $500 USD/night AI. Award stays are available at 25,000 points/night (no points + cash availability at the moment) but I am short on Hyatt points. I could book one night with cash and one night with points but would prefer to save the cash if possible. And I generally don't recommend booking prepaid rates especially a few months out. The Park Hyatt Tokyo is my number two choice. Cash rates are going for $646 USD/night so that is a no-go. At 30,000 points per night, that's a lot of Chase Ultimate Rewards points. Points + cash is available but at 15,000 points and $326 USD/night. So I think the Park Hyatt is out. The Conrad Tokyo is available at 80,000 points per night but I'm short by 75,000 points. I could buy the points which would cost me around $375 USD but the point (get it) is to use points and save cash when possible. Emily could pick up the Hilton HHonors Reserve Card and we could use a combination of one of those nights and points to book the 2 night stay. So that's a legitimate low cost (only $95 annual fee for the card) option. The Ritz Carlton Tokyo is available at 70,000 points per night. We do have the points in our separate accounts (Marriott lets you pool points from spouse accounts) but it's my number four choice and I'd much prefer to stay at the Andaz. I realize this in the scheme of things, this is not a significant life challenge. That said, I'm usually pretty decisive but am struggling with this one. I'm generally leaning towards waiting on points + cash availability opening up at the Andaz or using 50,000 total points (which I should have in a couple of months) and booking two award nights there. I know there are other options (Westin, Grand Hyatt, Hilton, etc...) but for my first time in the city, I'd love to stay somewhere really great. What would be your decision? Am I missing anywhere that you'd reccomend? After a smooth 20 minute ride on the Heathrow Express, we arrived at Paddington Station and made our way into the train hall and up the escalators to the taxi rank. The queue was short and we were in a London black (okay it was grey) cab on our way to the Andaz. The driver didn't know where the hotel was which I still find shocking given the high bar for London taxi cab drivers. I think an Uber actually would have been cheaper and easier but this would be our only cab ride in London and it's a special part of being in the city. With some back and forth, we eventually made it to our hotel. The Heathrow Express (with a discount coupon) cost 30 pounds and with tip, so did the cab. All in, that's about $85 USD to get into the city. Not terrible especially considering we had a free ride back to Heathrow. We arrived at the Andaz around 1PM and we were hopeful that they'd be able to get us into a room a bit early. The hotel is located on Liverpool Street in East London. Close to Shoreditch and the financial district. We found the location perfect for what we wanted to do (eat, drink, walk around). You are far enough away from the main tourist areas but they are easily accessible via Liverpool Station which is essentially connected to the hotel. We've stayed at Andaz properties in New York and Amsterdam and based on those experiences, looking forward to our stay. We walked in to the lobby where a "host" greeted us and started the check-in process. The hotel decor is pretty but modern and minimalist which we both very much enjoyed. After a bit of hunting and pecking, our host found us a room with a view and we were soon on our way up to the 2nd floor (room 260). 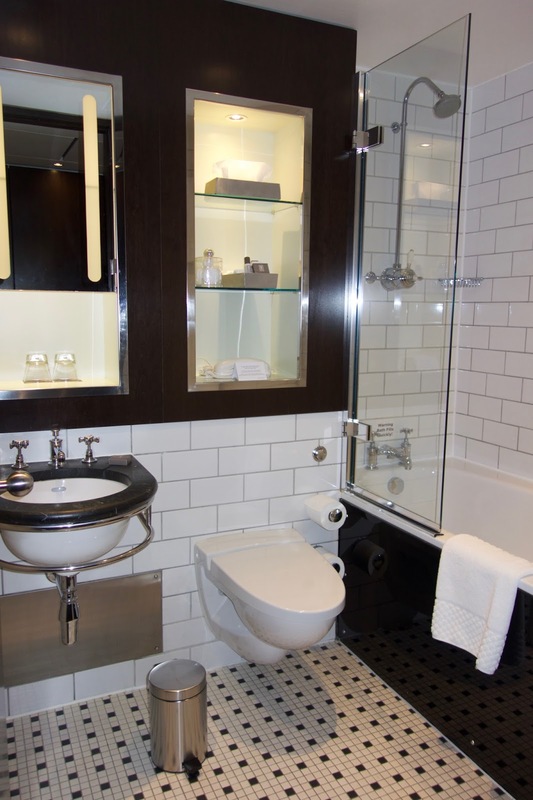 The room featured a small bathroom with some great tilework. Update: I was able to make a few changes (noted below) to our trip over the weekend. First, a single Etihad First Class Apartment award seat opened up between London and Abu Dhabi. Like a good husband, I promptly booked the seat and put Emily up front. I'm still hoping another seat opens up...if not, you'll get my review from the business class cabin and a few comments from Emily about her First Class Apartments experience. I was also able to change our routing to London. Two seats opened up in United Global First (777-200) from Washington Dulles to London. The change cost us 20,000 miles $150 in change fees which perfectly offset the cost for a hotel in Toronto. I've updated the post below with the changes. Stay tuned for the trip report segments coming in March! I've been grounded since November when we returned from our round the world adventure. So I am really excited to get back in the air and travel somewhere. Once we had our Etihad First Class Apartment booked from Abu Dhabi to New York, we just needed to build a trip around it. We decided on London for a few days prior to Abu Dhabi and New York. It's been a few years since we were in London and it's one of our favorite cities in the world. So it was an easy choice. Here's how I booked everything. In London, we decided to stay at the Andaz which cost 75,000 Hyatt Gold Passport points, transferred in from Chase Ultimate Rewards points. In Abu Dhabi, we settled on the Park Hyatt. We arrive early in the morning (1AMish) and depart early the next morning (3AMish) so I booked two nights to guarantee we can be in the room the entire team. Not the best use of points/cash but we'll be comfortable and given the overall cost of the trip, made sense. I booked one prepaid night at a rate of $220 USD. The second night cost 10,000 Hyatt Gold Passport points and $125. In New York, we'll be staying at the New York EDITION for a total of 80,000 Marriott Points. In total, I used 85,000 Hyatt Gold Passport points and 80,000 Marriott points. The cash outlay will be $345 for 7 total nights. The flight from Denver to London cost us 160,000 United miles and $11. London to Abu Dhabi in a combination of Etihad business/first class cost 70,000 American AAdantage miles and $520 in taxes thanks to the dreaded UK premium departure tax. We received 7,000 miles back for holding the AA Platinum Visa card. The Etihad first class apartment flight cost us 170,000 AAdvantage miles after the 10,000 mile rebate. We also paid $73 in taxes. To get home, we paid cash for a United flight from LGA to DEN. While the flight actually cost $410 for both of us, I paid with my Citi Prestige card which rebated $250. So the total cash outlay was $160. In total, I redeemed 160,000 United miles and 233,000 American miles. We also paid $764 in taxes, fees, and airfare. Despite the heavy departure tax in London, I still put together a pretty sweet trip for less than $1,109. I redeemed a total of 558,000 points and miles for all of the flights and hotel nights. That compares favorably to our previous trip where we spent 654,000 points and miles and more than $2,100 in cash for a 9 night trip. Stay tuned for the individual trip report segments coming next month! Given our day flight from Toronto, we needed to get there the night before. There's a Sheraton attached to Toronto's Pearson airport which couldn't be more convenient. I was able to book a AAA rate for $122 USD which seemed like a deal to me...thanks to the strong USD. We'll see if we can make a change to Lufthansa first class within 15 days of departure. That would certainly be more fun the Air Canada business class. Either way, we'll be happy. In total, I used 85,000 Hyatt Gold Passport points and 80,000 Marriott points. The cash outlay will be $467 for 8 total nights. The flight from Denver to London cost us 140,000 United miles and $18. London to Abu Dhabi on Etihad business class cost 60,000 American AAdantage miles and $530 in taxes and the dreaded UK premium departure tax. We received 6,000 miles back for holding the AA Platinum Visa card. In total, I redeemed 140,000 United miles and 226,000 American miles. We also paid $781 in taxes, fees, and airfare. Despite the heavy departure tax in London, I still put together a pretty sweet 8 night trip for less than $1,250. I redeemed a total of 531,000 points and miles for all of the flights and hotel nights. That compares favorably to our previous trip where we spent 654,000 points and miles and more than $2,100 in cash for a 9 night trip. Stay tuned for the individual trip report segments coming next month! I realize I still have a few trip report segments to finish for our last trip to Singapore but I'm so excited about this trip, I wanted to get the Introduction post out. 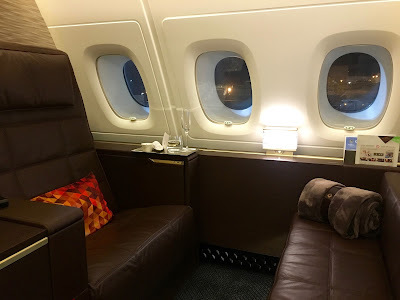 I've already posted about booking Etihad's First Class Apartment and will probably be posting about the experience several times before/after the trip. Since the timing worked out, we decided to make this a trip to celebrate my birthday. Emily's excited as this is a step up from last year's flying east to get west adventure. We'll leave after work Friday evening taking United's direct service to Toronto. The flight arrives late and we have another flight the next morning to London so we'll spend the night at the Sheraton Gateway which is connected to the airport. The next morning, we'll take Air Canada's day flight (often called the CEO flight) from Toronto to London. The flight leaves around 8AM and arrives around 8PM. Pretty perfectly timed to be able to minimize jet lag and get to sleep upon arrival. I'm still hoping we'll be able to upgrade to a Lufthansa First Class flight (connecting through Frankfurt or Munich) but that would be a last minute change if at all. If not, we'll be perfectly fine in AC business class and I'm excited to review an option that is widely available on points in advance. We are both really excited to check out the Andaz Liverpool in London which is located in London's East Side. We both loved the Andaz in Amsterdam and it will be great to check out another Andaz property in Europe. After a few nights in London, we're off to Abu Dhabi via Etihad's A380 business class. Again, I'm hopeful that a couple of First Class Apartment seats open up (only 10,000 more miles each) but it will be cool to review both the business and first class apartment cabins on the A380. In Abu Dhabi, we'll spend a couple of nights at the Park Hyatt before heading to the airport for 14 hours in our first class apartments! We're mixing it up a bit - staying a couple nights in New York before returning home to Denver. All in, this will be nearly 17,000 miles of flying and a couple of new airlines to review! I'll post the Planning & Booking segment prior to our departure as well as a couple other posts about Etihad. Stay tuned for another great trip report! After a great two night stay at the Waldorf Astoria Amsterdam, we made our way over to the Andaz. While the walk was gorgeous, I lost some points for making us walk with all of our bags. Little did we know that I would make up those points (and then some) once we were shown to our room. The building housing the hotel used to be the public library on the Prisengracht canal (Prince's canal) and is situated in the Jordaan neighborhood of Amsterdam. Andaz has a great setup for check-in. Instead of a "formal" check-in desk they have a handful of stations with laptops where they process check-in formalities. 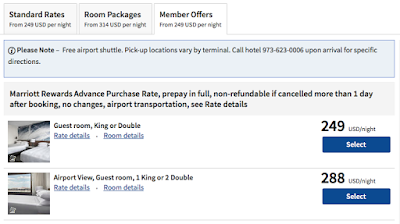 I had booked the single night with Hyatt Gold Passport points (25,000) which I thought was a great deal given that we'd be rebated 20% of those due to Hyatt's current 20% promotion. So a net cost of 20,000 points for a standard room selling for 635 Euros. That works out to about $725 USD with tax - over 3.5 cents per point. Over the last 18 months, there have been a ton of loyalty program devaluations. 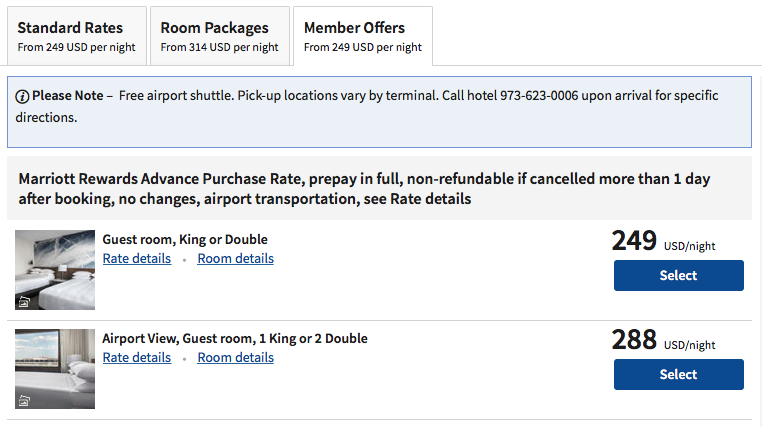 Hyatt is no exception but there seems to be some good news sprinkled into their latest devaluation. 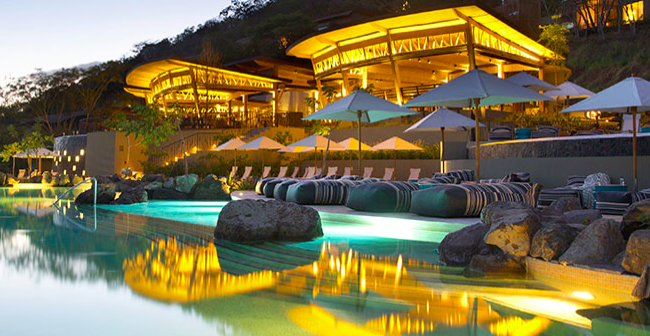 As has been written about by others, (One Mile at a Time, Mommy Points) the Andaz Costa Rica (located in Peninsula Papagayo) has dropped from a Category 6 property to a Category 4. 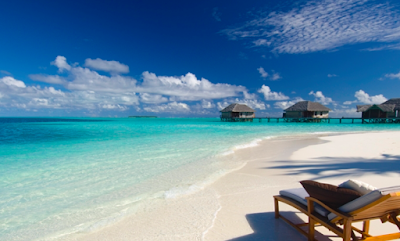 Meaning each night requires only 15,000 Hyatt Gold Passport points vs. 25,000. That is a massive reduction and seems to have been a surprise...it was not in the most recent update to the award chart. award redemption. In fact, the current Chase Sapphire Preferred Sign-Up bonus will get you 3 nights (45,000 UR points) at the property. I have been to the area once before and it is stunning. I've had this hotel on my list but will now be trying to figure out a time to go given the reduction in points required. Liberia is the closest airport and easy to get to from Denver. Frontier offers direct service and there is connecting service on United through Houston and Chicago. Delta and American offer non-stop service from a variety of airports throughout the year.